This Peppermint plant has been organically grown and comes in a reuseable bamboo pot. Easily recognizable, the taste of peppermint is refreshing and cooling on a hot summer day. It is also soothing to an upset stomach, due to the menthol it contains. 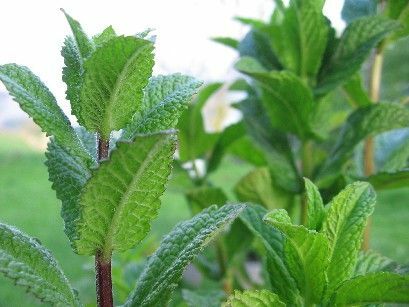 The menthol in peppermint soothes the lining of the digestive tract an stimulates the production of bile, which is an essential digestive fluid. Steep leaves in cold water for a milder tasting tea.